Showing recent results 571 - 585 of 675 products found. 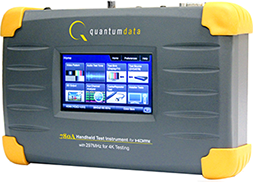 The CV30 P300 test station is the highest current 30KW pulser in a series of exponential pulse generators that can be connected to our FEC200E tester. This gives you all the versatility of the proven FEC200 with the addition of high power exponential pulses. For exponential pulses up to the 10/1000, the station can produce 30KW, 1000A, or 300V whichever is the most limiting. The station can also include all of the usual FEC200 tests in the same test program. 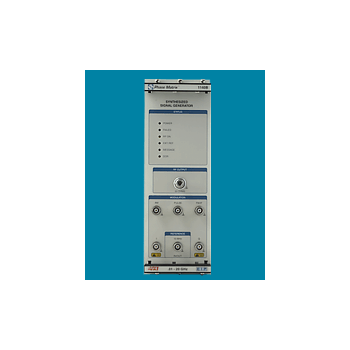 The CV5 P350 station is the first mid power pulser in a series of exponential pulse generators that can be connected to an FEC200E tester. This gives you all the versatility of the proven FEC200 with the addition of high power exponential pulses. For exponential pulses up to the 10/1000, the CV5 P350 can produce up to 5KW, 500A, or 350V whichever is most limiting. It can also test all of the usual FEC200 tests in the same test program. The CV30 P650 test station is currently the highest voltage pulser in a series of exponential pulse generators that can be connected to our FEC200E tester. This gives you all the versatility of the proven FEC200 with the addition of high power exponential pulses. The CV30 P650 pulse adapter can produce a maximum current of 100A at up to 600V using exponential pulses up the 10/1000 waveform. The pulser is rated at 30KW from 300V to 650V. Voltage compliance at 100A is 600V. The station can also include all of the usual FEC200 tests in the same test program. SFH264 Series - Shanghai Launch Electric Co., Ltd. This series of generators are mainly used to generate tripe frequency induced voltage for high voltage transformers. It also could be used for transformers in insulation induced voltage withstanding tests among windings, turns, sections and phases.The device is composed of triple frequency generator, console and reactor, with good waveforms output, reliability, and easy operation. Devices in different specification could be customer-made on request. F125 - Atelier Robin Inc. The F125 square wave frequency generator replaces our F150/155/105 frequency generators. It is a completely new design with many new features. 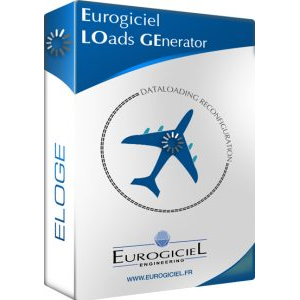 The main one being that it can run standalone up to 1500 program files copied from a PC or Mac. 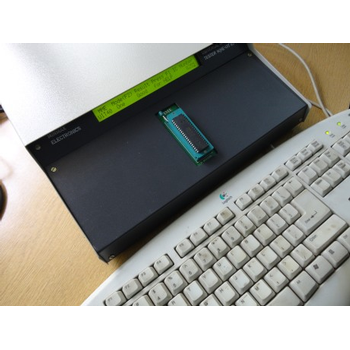 It is also possible to connect the F125 to a computer via a USB port and control it with the F100 3.0 software for MS-Windows in the same way our F150/155/105 operate from a PC. Program files written for our current F150/155/105 are compatible with the new F125. 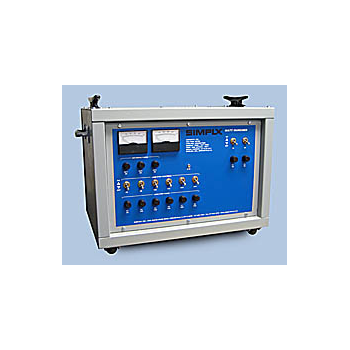 A unique high power low inductance load bank enables performance testing up to 8 ampere RMS with a duty cycle of up to 100% making the analyzer an extremely versatile test instrument for calibrating and performance testing of conventional and high power electrosurgical generators. The load bank allows testing in a range of 0-5115 with a resolution of over 1000 steps providing high detailed power profiles. The Rigel Uni-Therm also advocates safe working practise by providing all necessary resistors within a single enclosure. MME-UIT 40 is the latest Microcontroller based UNIVERSAL IC TESTER from Minmax Electronics. It functionally tests a wide variety of Analog/Linear ICs including ADC,DAC,DPM ICs, Op Amps, Transistor arrays, waveform generators and Digital ICs including Microprocessors, Microcontrollers, EPROMs, RAMs, Peripheral devices apart from 74 series of TTL ICs and 40/45 series of CMOS ICs. The development of industrial testing means involves the collaboration of different technical skills (electronic design, low and high level software development as well as hardware selection).Scalian Alyotech realized for one of its customers a generic solution allowing to test a wide range of its equipment (40). This means provides the bulk of measurement and generation instruments (digital multimeter, power supplies, function generators, relays, communication bus). 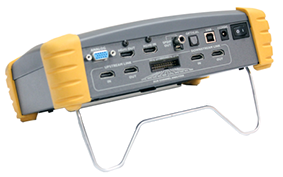 The Teledyne LeCroy 780 series handheld test instruments for HDMI® are battery powered (except 780C, 780D and 780E), portable video and audio generators and HDMI analyzers that enable you to conduct quick, on-site verification testing and troubleshooting of your HDMI system and analog video displays. The 780 series instruments are equipped with both a reference source and a reference sink interface allowing you to test audio, video and protocols of any type of digital video device: sources, repeaters and sinks. 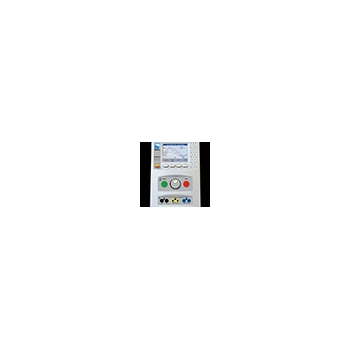 If you’re testing digital or analog computer monitors, video projectors, multimedia monitors, or TVs, the 701A Video Test Generators provides the signals, test patterns, and audio to do your job, easily and accurately. Field technicians and factory people on the move will appreciate the convenience of battery power and small size. The 701A Video Test Generator is designed to go where you go. HVA28 - HV Diagnostics Inc. The HVA28 is the smallest, lightest VLF/DC test instrument on the market. It is about as small as you can make it! Do not let its compact size lead you to believe this unit is lacking in power. 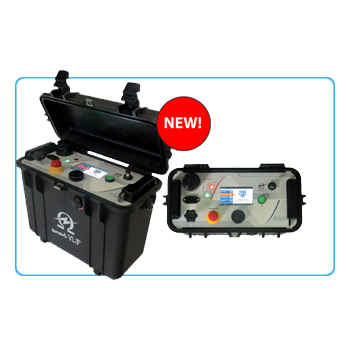 The instrument can test up to 100,000ft/30kms of cable (at reduced voltage and frequency). In addition to cables, this unit can test vacuum bottles, transformers, motors / generators, cable sheath/shields, etc. 114XB - Ideal Synthesizer/Upconverter for ATE Applications. Phase Matrix/EIP VXIbus synthesized signal generators are designed to be ideal for ATE applications. The 114XB family synthesizers occupy only three VXI slots, yet cover the entire 0.001 to 20 GHz or, depending on the model chosen, a more limited 2.0 to 20 GHz frequency spectrum with 1 Hz resolution. 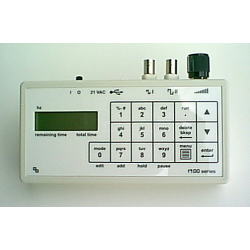 RG-1000A - Dynamic Sciences International, Inc. 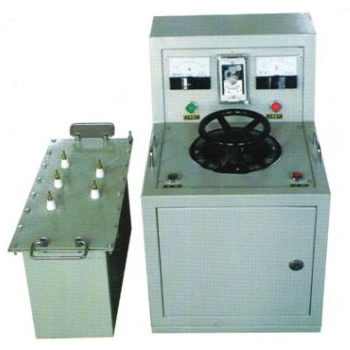 The Simplex Watt-Muncher is a small DC rated load bank used to test battery systems, AC to DC rectifiers and power supplies, battery chargers, UPS systems and DC generators. The Watt-Muncher provides a variable test load used to measure charge and discharge rates, response, stability and endurance. Corresponding calibrations and adjustments can be made while maintaining a constant, precise, resistive load on the power source.